Come and join Larysa and make a decorative egg for Easter! Discover the many different techniques which are used in felting. Each one provides its own unique style. Learn how the layout of the pattern works and practice with your own creation. 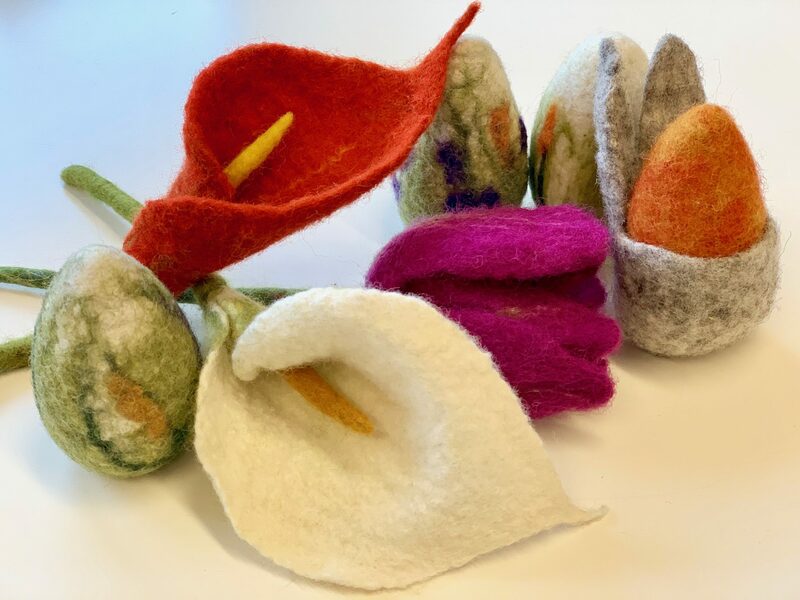 Larysa Grygoryan started felting in 2012 on a trip to Vancouver where she accidentally discovered a little shop with wool. She immediately fell in love with all the colours and textures. She started experimenting and learning mostly on her own or through master classes online. Wool is a very flexible material that you can shape into anything your imagination desires. The only tools you need are water, soap, wool and your hands. Larysa enjoys sharing her gift with people and she often does commission work.